Leading independent and fastest-growing oil company Phoenix Petroleum signed a memorandum of agreement with the Department of Energy (DOE) on March 1, 2018 to give public utility vehicles (PUVs) a Php 1.00 discount per liter as means of helping drivers and operators adjust to the newly implemented Tax Reform for Acceleration and Inclusion (TRAIN) law. This is in line with the department’s mandate to all oil companies to extend special provisions to PUVs as a “cost cushioning mechanism” following the implementation of higher taxes on select goods such as oil. “These corporate social responsibility (CSR) programs of the oil companies are aimed to mitigate the impact of Tax Reform for Acceleration and Inclusion (TRAIN) Law’s impact on transportation fares,” said Energy Secretary Alfonso G. Cusi during the signing. The agreement was signed between DOE and three oil companies, Petron, Shell, and Phoenix. Highlights of the agreement include at least Php 1.00 discounts per liter of liquid fuels to public utility vehicles (PUVs), which may include jeepneys and taxis; provision of a designated lane for PUVs; and additional privileges and other promotional offers to be offered to PUV drivers. DOE said that the fuel discount program is the oil industry’s version of “bayanihan,” and it aims to help the commuting public adjust to the effects of the TRAIN law to the transportation industry. “With these fuel discount and other CSR programs, we are hopeful that operators of jeepneys and buses will also help lessen the impact of TRAIN to consumers by not increasing the transport fares,” Cusi said. According to Vice President for External Affairs, Business Development, and Security Atty. 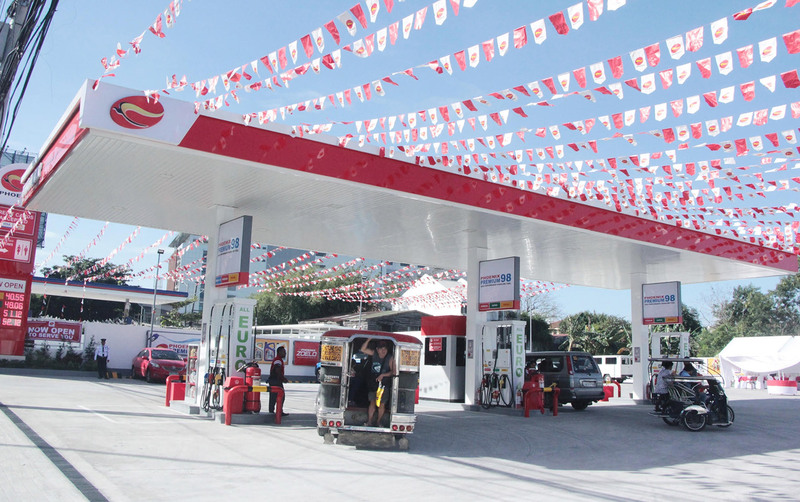 Raymond Zorrilla, Phoenix Petroleum will implement the Php 1.00 discount in 150 of its stations nationwide. The company will also continue to observe market conditions to see if it can still increase the discount for public motorists.